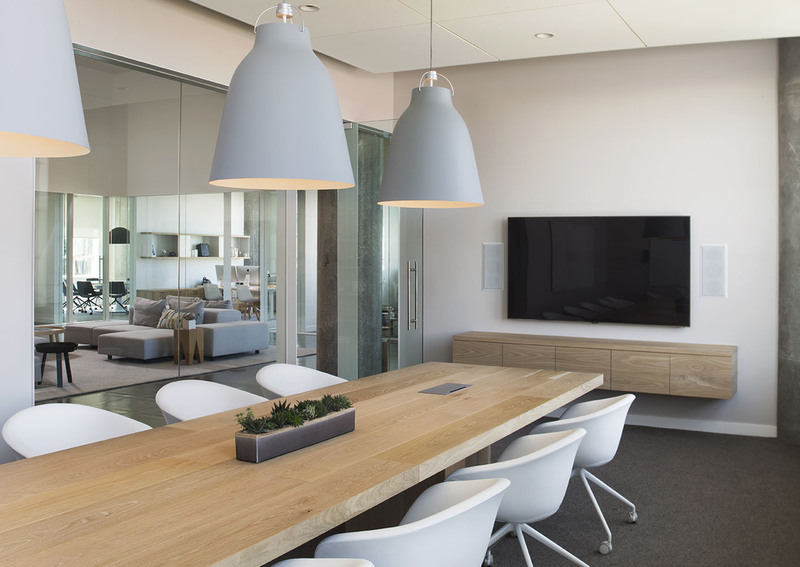 A growing technology investment firm was seeking a light-filled design for their new office space. 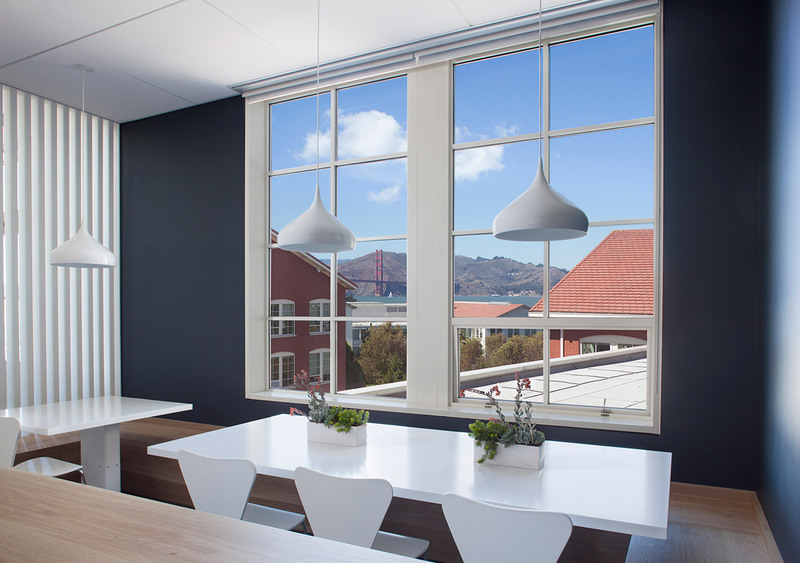 As is often the case in the historic buildings of the San Francisco’s Presidio, structural concrete columns and ridge skylights imposed a repetitive infrastructure that could not be altered. 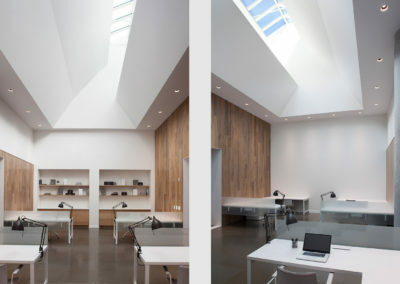 These fixed elements acted as a source of inspiration for the design. 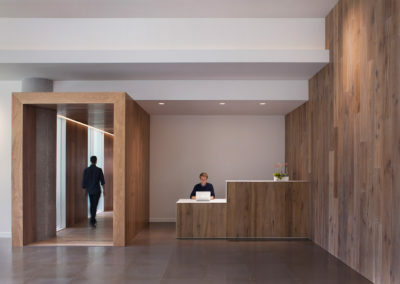 The rhythm of the exposed columns organizes a progression through the office and serves various programmatic needs of the employees and guests. Arriving from the elevator lobby, staff and visitors are greeted by a continuous wood-clad wall with a pivoting door that veils the reception area and the lush landscape of the Presidio beyond. 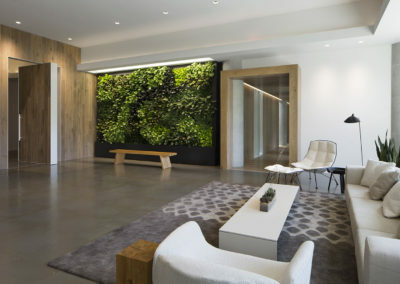 The double-height reception area features a large living wall inspired by the natural setting. 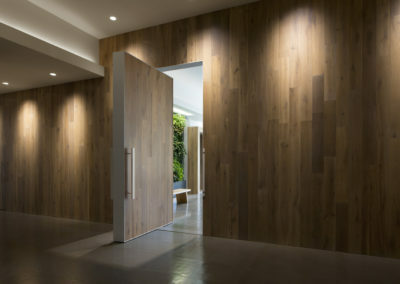 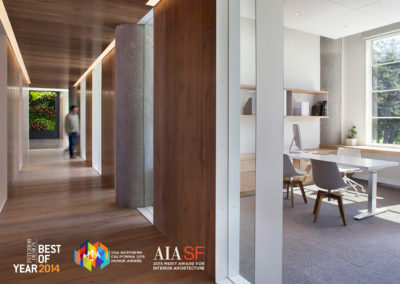 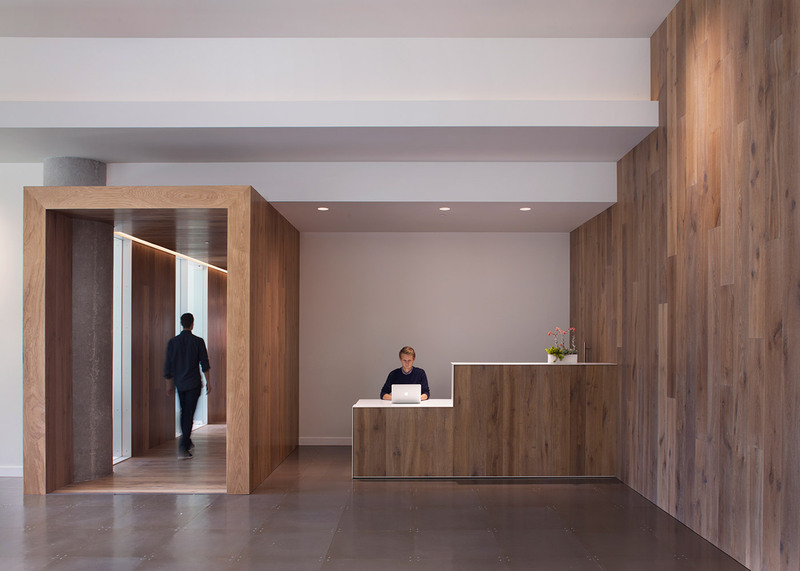 Two wood-clad compression corridors branch off from the reception area, aligning with the existing columns and pulling visitors and employees through the space. These corridors lead to private offices and spill out into large, double-height public spaces, including a library and an open office. These public spaces are warmed by natural light sculpted down from the ridge skylights. 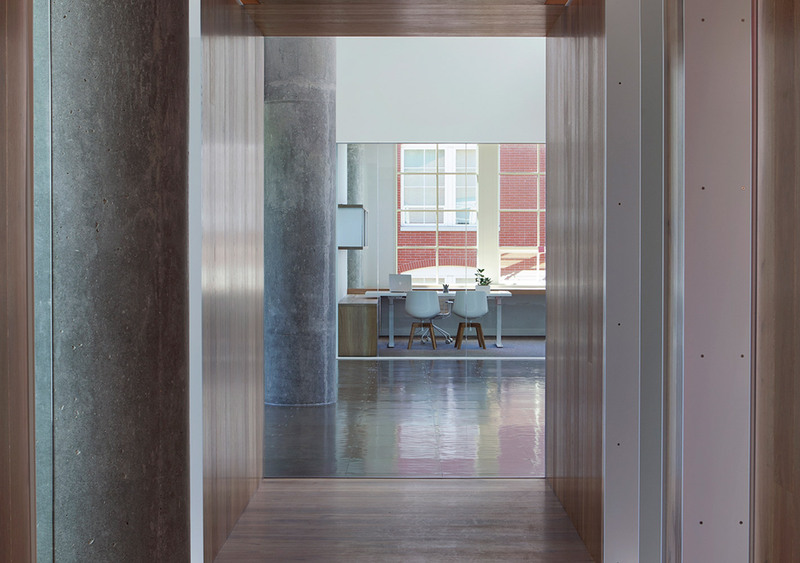 The palette of wood and painted white steel accentuates the existing materials and the contextual landscape beyond.